Quality is the predominant theme throughout the healthcare industry today. Healthcare providers across the industry constantly seek ways to assure they are providing the highest-quality care. Payers provide financial incentives and rewards for meeting quality benchmarks. Even the recently passed healthcare reform law includes elements designed to promote quality. And while there are many different factors contributing to quality of care, the most important is the caregiver. It’s impossible for healthcare organizations to assure they are providing the highest quality of care unless that care is being provided by the most talented, experienced, and qualified professionals. This fundamental rule of healthcare management applies to all healthcare organizations, including radiology practices. Yet it’s not always easy for organizations to obtain background information about their providers. It requires tracking down a lot of details from various sources. 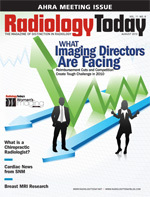 The growing impact of teleradiology makes it more challenging for radiology practices to get the background information they require. According to the ACR, most practices rely, at least to some extent, on off-site radiologists. One study, conducted a decade ago, found that nearly three quarters of multisite organizations rely on teleradiology on a day-to-day basis as does one out of every three solo practices. And reliance on teleradiology has grown since that survey was conducted. But while the growth of teleradiology provides numerous quality and administrative benefits, it also provides some difficulties. Foremost among these are credentialing challenges. Credentialing is an essential part of the quality effort. Before any radiology practice hires radiologists or other healthcare providers, it is essential to obtain the necessary background information to ensure they have the appropriate education and experience and that their areas of experience fit the roles they will be filling at the organization. There have been numerous examples of unqualified people being hired due to breakdowns in the credentialing process. In the worst cases, unqualified radiologists and technologists can undermine patient care by misreading films and failing to pass along vital information to the care team. Of course, credentialing continues to be important after caregivers are hired. The credentialing process must be repeated at different intervals, depending on the type of organization, to ensure that caregivers maintain their qualifications to provide radiology care. From an administrative perspective, licensing is an equally important aspect of the credentialing process. Radiology practices can expect to be reimbursed only for services provided by caregivers who are licensed in a particular state and who have relationships with the appropriate payers. This is a particularly important issue for radiology practices utilizing teleradiology because care is often provided across state lines. For instance, if a radiologist in Minnesota is reading films for a patient in Texas, he or she must be licensed in Texas in order to be reimbursed for the service. It doesn’t matter where the radiologist is physically located; it matters where the patient receives the care. Credentialing can be a very complicated and time-consuming issue for any radiology practice, particularly those that operate across several different states. This is particularly true when it comes to verifying relationships with payers since individual states can have dozens of insurance companies with which providers must maintain relationships. When it comes to credentialing, most organizations still rely on outdated, time-consuming, and potentially inaccurate approaches. In fact, it is estimated that nearly 70% of those performing front-line credentialing are using some type of paper-based system or homegrown spreadsheet or database providing limited automation and little added efficiency. Why does this matter? Because it’s impossible to get quick answers when relying on pencil-and-paper credentialing approaches. It can typically take anywhere from one to three months to receive responses from past employers or schools with essential credentialing information. Long lag times can make it more difficult to hire the most qualified staff if more sophisticated competitors are able to complete the credentialing process more quickly and accurately and move faster to hire the best providers. Such delays can also have serious financial repercussions. Combine the time it can take to manually confirm physician relationships with individual payers with the weeks or months it can take to get reimbursed by private payers and Medicare or Medicaid, and many radiology practices end up waiting many months to be reimbursed for procedures conducted by new caregivers. Moreover, when radiology practices are unable to confirm a relationship with a payer, they often end up providing radiology services for free because the payer is not obligated to pay for services completed before they approved the provider. Healthcare providers are forced to write off millions of dollars in billings each year because of delays in the approval process. Automated credentialing suites can solve these problems by permitting instant management of the credentialing process. Rather than having to manually track each caregiver and communicate personally with his or her past employers and educators, automated programs can monitor when each caregiver must be recredentialed and automatically manage the process, beginning by distributing e-mails requesting the required credentialing or licensing information. There is even technology that will allow automated credentialing systems to “crawl” websites and return images to confirm licensure, educational certifications, etc. Automated credentialing packages can provide instant access to national physician databases (eg, National Practitioner Data Bank, Office of Inspector General) on which performance, employment, and education information is stored. Automated approaches can provide significant time savings. Typically, radiology practices can complete the credentialing and licensing information in a fraction of the time it takes to do the job by hand. The financial advantages can be just as significant. By completing the process months sooner, radiology practices can be reimbursed more quickly for the services they provide. Additionally, practices can save administrative costs when they no longer have to distribute credentialing requests by hand and follow up individually. There are numerous credentialing programs available, each of which provides different features and levels of service. This variety gives providers an opportunity to find the program and the vendor that best meet their needs. At a time when there is more focus than ever on healthcare quality, radiology practices should be paying more attention to credentialing, the gateway to quality. By making credentialing efforts more effective and efficient, radiology practices can ensure that the most qualified and experienced professionals provide patient care. At the same time, radiology practices can improve their reimbursement rates and guarantee more timely payment for the services they provide. — Michael Melville is president of the IntelliSoft Group, developer of Intellicred Windows credentialing software. He can be reached at mmelville@intellisoftgroup.com.